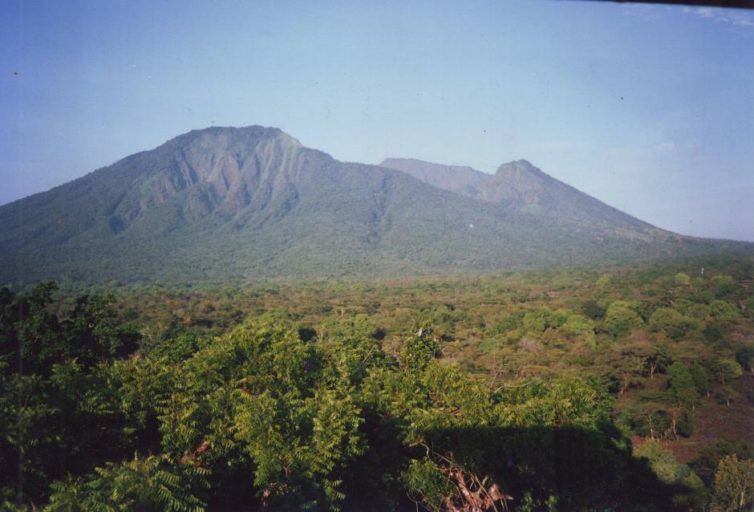 Baluran National Park is a reserve in eastern Java, Indonesia. Baluran may be the closest one can get to the equivalent of India’s or eastern and southern Africa’s experience of open savannas teeming with wildlife in Indonesia. This post is a commentary — the views expressed are those of the author. Baluran National Park is still a stunning place to visit. 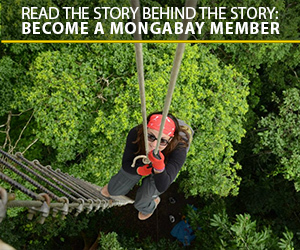 Five to ten years of professional management could make this one of the top nature attractions in South-East Asia. Photo credit Erik Meijaard. It’s 6 in the morning and I am staring out across an open savanna landscape looking at large groups of deer, buffalo, and monkeys. In the distance the outlines of a volcano start showing through the mist, and the grassland rings with the calls of peacock and wild jungle fowl. This is neither India or Nepal, nor am I somewhere in Africa. 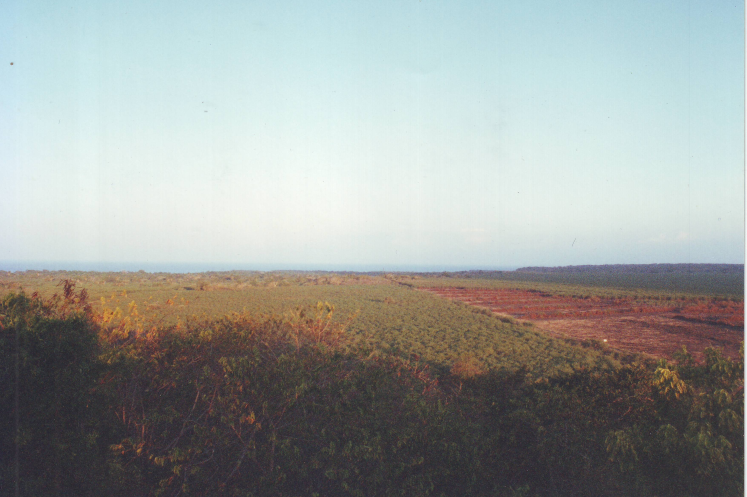 This instead is Baluran National Park in eastern Java, Indonesia. I have seen this same wonderful view hundreds of time in many shades of color. Between 1992 and 1997, I worked here as an MSc student with a strange obsession to pick up fresh deer dung early in the morning and deposit it somewhere else. 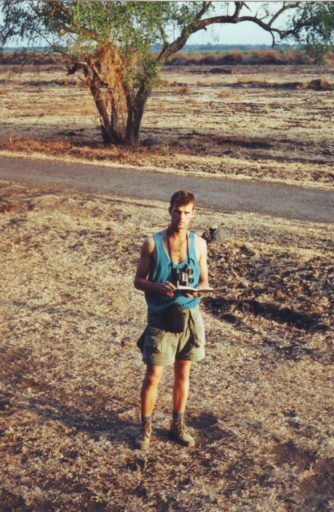 Every dawn for several years I was on that savanna surrounded by banteng, deer, buffalo, many birds, dholes (Asian wild dog), and the occasional leopard lurking among the bushes. This must be among the most stunning wildlife viewing experiences that Indonesia has to offer. 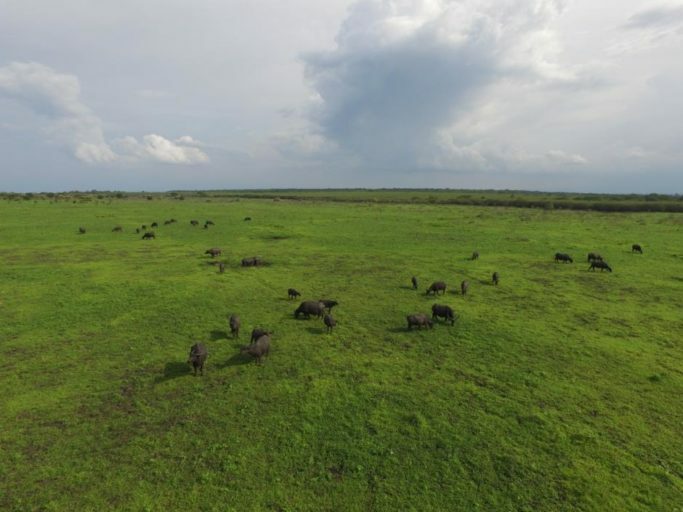 And is the closest one can get to the equivalent of India’s or eastern and southern Africa’s experience of open savannas teaming with wildlife. 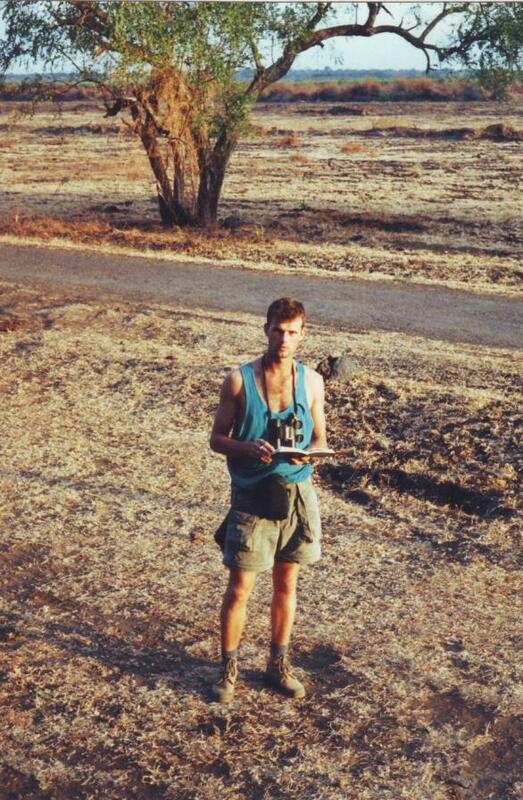 A younger Erik with more hair in 1992, with the dry-season Bekol savanna showing more invasive Acacia mangium in the background than now. I admit I was worried about this trip. It is the first time in 20 years that I revisit Baluran. The stories I have heard or read are not good. The once numerous banteng population has apparently collapsed, birds have been poached to extinction, the local wild boar population hunted out, the park overrun by invasive plants, while masses of local tourists spoil the park with rubbish, noise, and animal feeding. To my great relief things aren’t as bad as I expected. 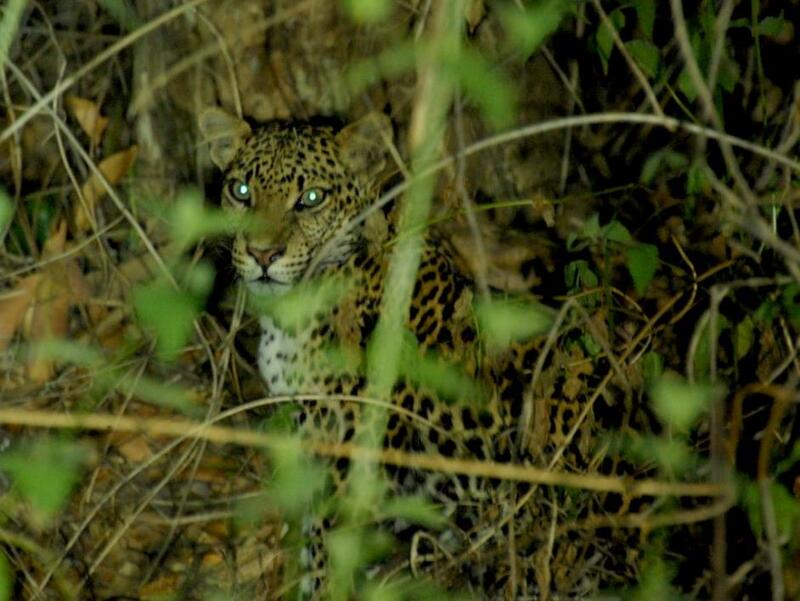 Recent photo of a leopard in Baluran. Photo credit Hariyawan A Wahyudi-Copenhagen Zoo. Sure, the park is not in a great shape. Apparently, the local banteng population has been reduced from some 300 in the early 90s to some 50 now. 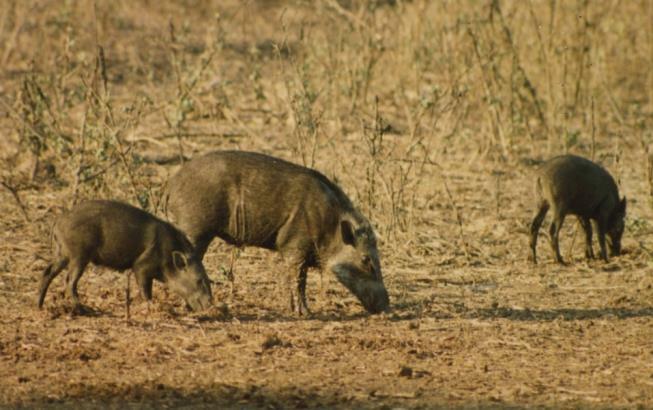 The once common and tame wild boars are now apparently very rare and elusive. This in itself is an achievement, because almost nowhere else in the world have wildlife authorities managed to eradicate tropical pigs, but somehow they did succeed (illegally) in an Indonesian national park. The main reason for this is probably uncontrolled hunting. Camera trapping and other information sources reveal large numbers of people and poachers using the park without very little interference from park management. On the positive side, I see much more wildlife than I had expected, including good numbers of deer and banteng, and excellent views of some highly endangered bird species (of which I won’t reveal details to avoid guiding poachers). Apparently, leopards are doing very well, maybe feeding on the numerous long-tailed macaques and Javan langurs. Also, importantly, the park finally seems to start dealing with the invasive Acacia nilotica. 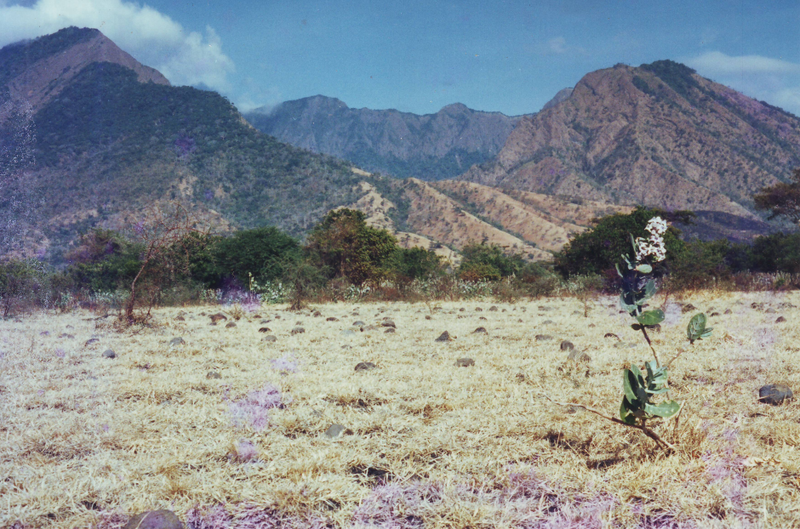 Planted in the 1960s as a fire-break, this African species soon started to take over the once vast grasslands, turning them into prickly stands of impenetrable wastelands. For decades park management has tried to deal with the problem. But until recently the acacia thwarted all efforts of eradication. Whether they chop or burn it, or pull it up by its roots, somehow seedlings of this invasive keep popping up. Now, however, the central Bekol savanna is more open than it was even in the early 90s. 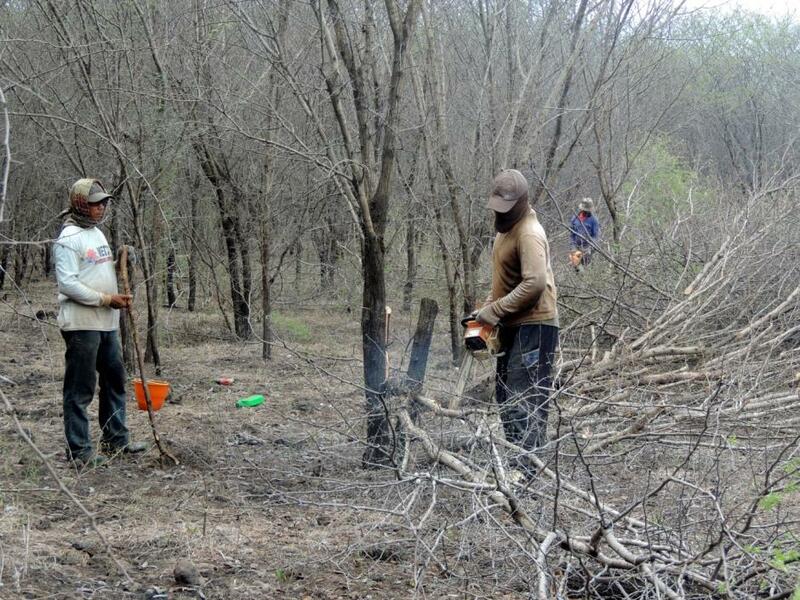 In collaboration with Copenhagen Zoo, the park management is opening up further areas through a combination of cutting, poisoning, and careful control of any regrowing acacia seedlings. It might take decades to really push back the bush and allow the rich natural grasslands to recover, but the trend seems positive now. Such collaborative efforts give hope. Baluran has always been rich in financial resources and is one of the best-funded parks in Indonesia. It’s allocated budget of nearly US$ 100/ha puts it in line with global standards for protected area funding. Such financial resources should be sufficient, but the parks lacks technical expertise on how to effectively use these funds to address the main conservation challenges: 1. 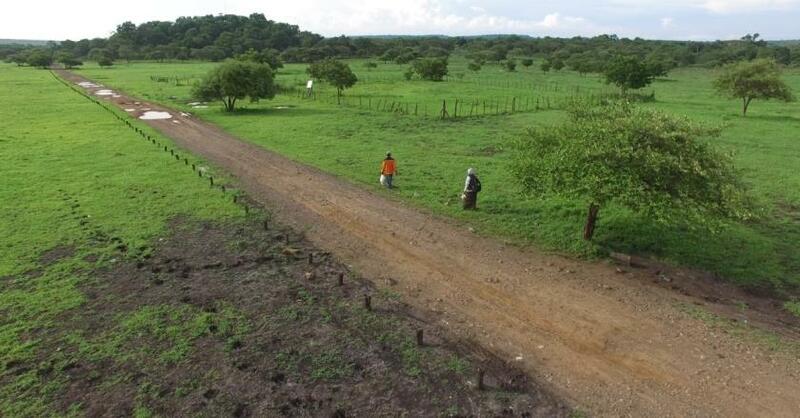 Largely uncontrolled access to the park for surrounding communities, hunters, and poachers; 2. Related to that, a decline in key species – banteng, pigs, certain birds, and the possible need to restock populations with captive-bred animals; and 3. the aforementioned fight with acacia and other invasive plant species. Low morale among some of the park staff I talked to isn’t helping either in addressing these challenges. If in the next 10 years, the park manages to become more strategic in how it uses its rich financial resources, Baluran could once again become one of the shining examples of Indonesian conservation. The park is right on the much travelled route from Bali to East Java. The nearby town of Banyuwangi now has an airport and if flights from Bali are established, the park could receive hundreds of highly-paying foreign tourists every day. But for that it needs to offer much better services. The accommodation inside the park – the old hunting lodges of the 1930s – are in a dismal state and seriously over-priced. People will come if they can see wildlife, but for that there needs to be more wildlife and it cannot be disturbed. Why does the park not have a look at some of the well-managed parks in India, Kenya, or South Africa, where no motorbikes or other private vehicles are allowed, where all visitors are accompanied by competent guards who actually know a lot about wildlife, and stop people from doing silly things like feeding monkeys and running across the savannas taking selfies. Increased professionalism in Baluran’s management will come from learning from other good examples and being open to change and private collaboration. I could feel some of that change in the current co-management efforts with Copenhagen Zoo, the successes in pushing back acacia, and the nascent captive breeding program for banteng. Now the authorities need to step it up and take the park to the next level to let Java’s little Africa once again become a symbol of Indonesia’s incredible natural wealth. 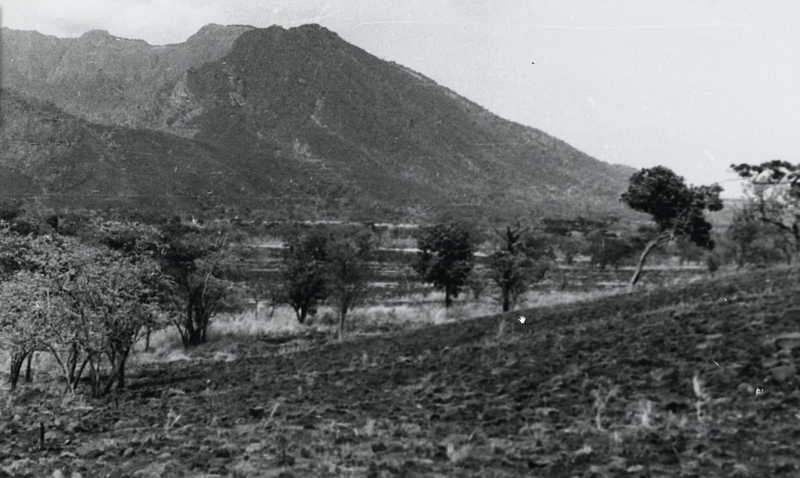 Photo from the 1940s shows that Baluran used to be a very open park with extensive grassland. Much forest, including monocultures of Acacia nilotica now cover the park. Photo credit A. Hoogerwerf. Erik Meijaard is a Jakarta and Brunei-based scientist coordinating the Borneo Futures initiative. He chairs the IUCN/SSC Wild Pig Specialist Group.